I remember when a dear friend of mine died because of Dengue a few years ago, it was scary. He was a young father with two children who at that time were both below 7 years old. It was a devastating family situation which left his wife depressed and unprepared. Dengue scares me a lot. And now with the Zika virus existing alongside it, I am all the more worried. I don't want my family to experience losing someone because of a simple mosquito bite. So for me, prevention is better than cure. As a mother of three boys, I do all I can to protect my children from getting Dengue or Zika. Call me paranoid, but I’ve been applying a mosquito repellent on my kids and make it a part of their daily hygiene. 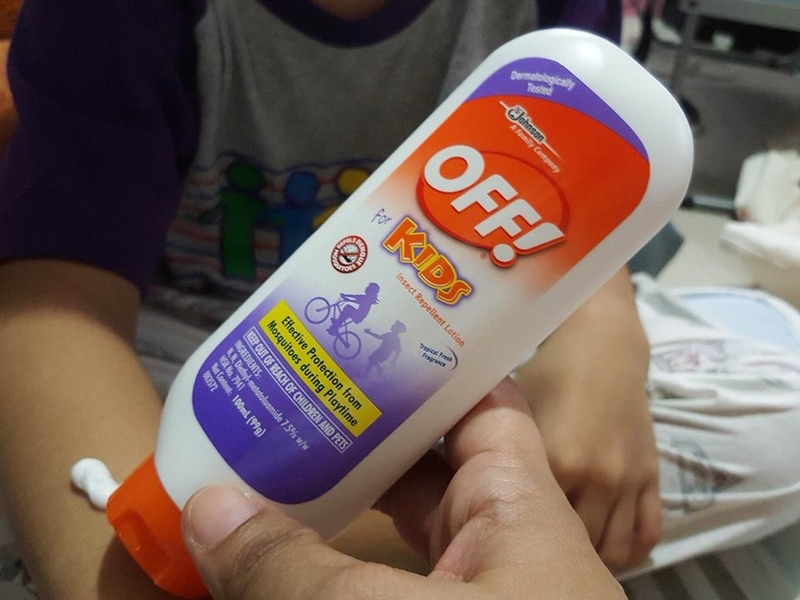 I use OFF! Overtime Lotion for my teenager and OFF! For Kids for my preschooler religiously. It’s a non-negotiable item when doing the personal care shopping in the grocery. At home, in school or out all together as a family, they can never be without it. 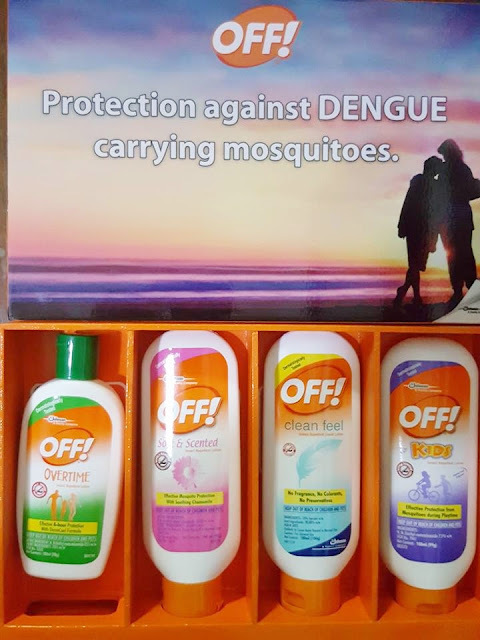 I have to be extra vigilant when it comes to applying a mosquito repellent because I witnessed how hard it was for my deceased friend to fight Dengue in the hospital then eventually lose the battle, and how slowly his wife and kids picked up from that life event. I don’t ever want any of my kids to miss school days, see them become weak due to Dengue and Zika fevers, and go through series of blood tests and get used to trips to hospitals to get checked and treated. Lastly and worst of all, I can’t risk losing them to Dengue or Zika. These are the things I don’t ever want us and any family to deal with. I’m seriously conscious in protecting my kids from mosquito bites, that’s why I also let them wear light-colored clothes which could cover the children’s body if possible like long-sleeves, pants, or sweaters in colder seasons. At home, we remove stagnant water hanging around such as pots, tires, gutters, drums, other containers to prevent mosquitoes to make it their breeding sites. We also use nets to cover the window or doors (works on baby’s crib and stroller too!) to prevent mosquitoes from entering the house. And of course we apply OFF! Lotion all day, every day. OFF! 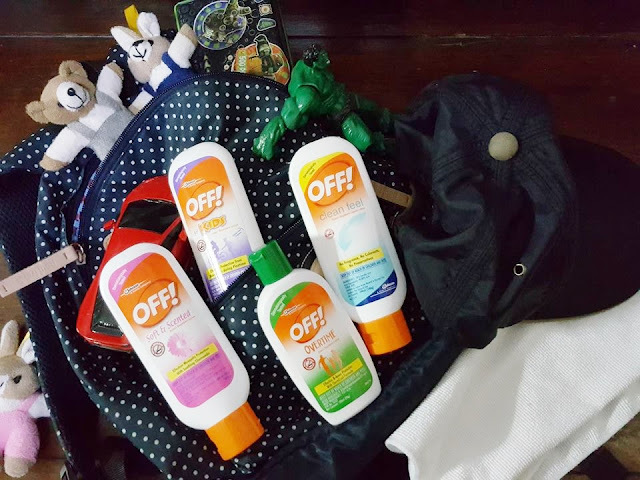 Mosquito Repellent Lotion provides protection against both Dengue and Zika carrying mosquitoes. Knowing that my children are protected gives me peace of mind. I highly recommend you to also be consistent and vigilant in applying OFF! Lotion. For my eldest son who’s a basketball varsity, I use OFF! Overtime. Because he spends longer time outside the house now due to his daily basketball training after school, OFF! Overtime is more suitable for him which gives 8 hours of protection in repelling mosquitoes. My preschooler uses OFF! Kids which protects him for 3 hours against mosquitoes. It’s dermatologically tested with tropical fresh fragrance suitable for kids. Both variants are easy to apply, are non-greasy and have a pleasant smell which they both like. With OFF! Lotion applied regularly, they are both protected against mosquitoes that may carry Dengue and Zika viruses. I’m glad that OFF! Lotion has been a partner in caring for their health and overall well-being. OFF! Lotion is available in major supermarkets, drugstores, groceries, and even sari-sari stores. Personally, we buy the 100ml variant for use at home and when going out. It’s convenient to pack in their bags and bring it with them especially when we travel as a family. Protect yourself and your loved ones from the scary mosquitoes that may carry Dengue and Zika viruses with OFF! Lotion. You don’t only protect them from deadly mosquitoes but also from the fearful life events which could happen to the family due to Dengue and Zika.